Cryptocurrency trading is exciting, at least when things are going your way, but when they’re not things can get stressful fast. Being a successful cryptocurrency trader is all about making the right decision at the right moment to secure a profit. This puts a lot of pressure on new cryptocurrency traders. Sometimes you’ll have only seconds to come to a decision, but what if it’s the wrong one? The key to getting over most of your issues when it comes to trading is efficiency. Being able to establish systems that work and set rules and goals for yourself is the difference between a successful and failed trader. Why is trading cryptocurrency so complicated? Cryptocurrency trading also suffers from another big problem, it’s spread out all over the internet! There are hundreds of different cryptocurrency exchanges and tools out there and most traders will be using several exchanges and tools to try to trade. There are so many cryptocurrencies that not every exchange can or will list them all. Many assets which have great price potential are actually confined to smaller exchanges. That means if you want to trade them, you’ll need to make many different accounts and swap between the tabs. This makes things confusing, especially for newbies. It’s easy to make costly mistakes when you’re juggling multiple tabs and interfaces, and it can turn things into a real mess when you’re trying to learn. These mistakes are costly and time-consuming. Many exchanges which you might want to use for trading certain assets, especially small market cap ones, might not have the best tools available either. Some of them have very limited order types, making it difficult to trade there, even if there’s potential for profit. This forces many cryptocurrency traders to not utilize these prime profit-making areas due to the lack of tools and poor interface. It also means that a lot of smaller market cap projects are missing out on trading volume, unfortunately. 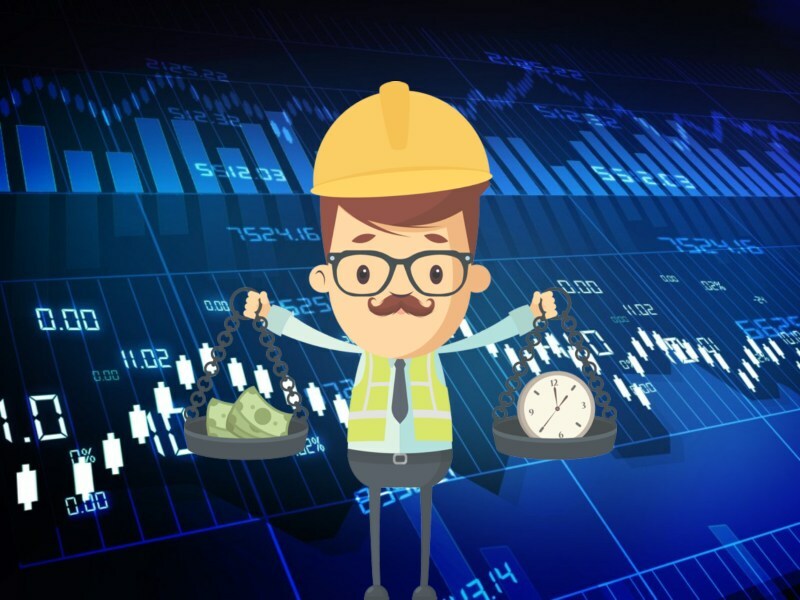 The good news though is that there are some great tools that allow traders to save a ton of time and gain the benefit of using the best tools when trading in these smaller markets. Enter Bitsgap, cryptocurrency trading platform! 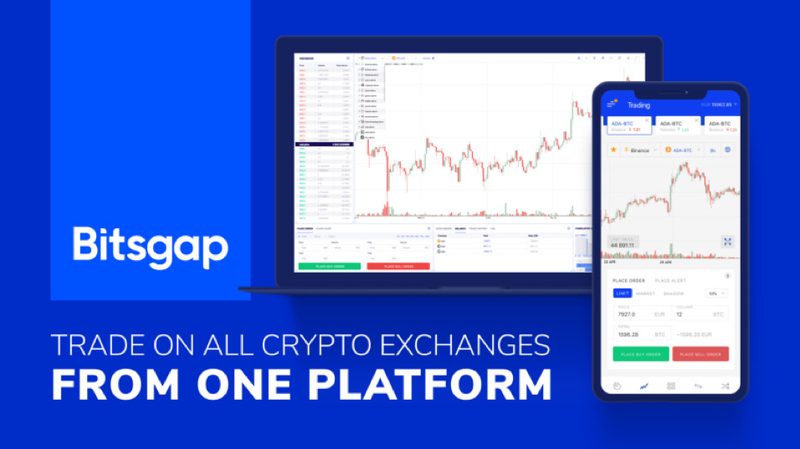 Bitsgap has created an awesome and free interface which connects over 30 crypto exchange accounts via API and presents them in one attractive interface. Using a unified tool like this one, cryptocurrency traders can save themselves a lot of time and money. However, it also does something even better. It actually upgrades your experience for other exchanges which might have poor trading tools and order types. With Bitsgap every exchange is exactly the same for you. That means you can use specialized order types, tools for drawing trend lines, all of your indicators and everything you might need without ever leaving the application. Not only does this clear up all the clutter in your browser, allowing you to better focus on your trades, but it’s also much faster. Executing trades is quicker using one interface, and when you need to make split-second decisions, every second count. You can also use all your favorite indicators without any external tools. Their interface lets you expand the window to make it easy to do TA, and then you can go back to the order screen with one click to buy or sell. It makes everything very convenient and easy to manage. They also have excellent security protocols, and the API is only allowed to trade. It can’t be used to withdraw so nobody can ever withdraw your coins from the exchanges, even if they did manage to compromise your account. Bitsgap manages to completely upgrade the cryptocurrency trading experience of every other exchange without storing any assets or posing a security risk, and that’s pretty awesome. Bitsgap offers some special order types that you’ll want to be aware of. They can make your trading activities that much easier, and you can use them on any exchanges that Bitsgap connects with. This adds additional functionality to exchanges which might have sub-par order types on their own. While many smaller exchanges might offer some great profit opportunities, a lot of them don’t offer these order types. When you’re trying to juggle multiple trades with a small profit margin, having advanced order types is essential. With Bitsgap, every exchange is now capable of protecting your capital or taking profits for you when you’re not around. It’s an awesome feature to have, and it really makes Bitsgap something special. Ever wish you could make private orders that don’t show up on the books? Now you can. Bitsgap’s shadow orders are like trading in stealth mode, and they don’t lock up your capital, so you can actually enter several different order types based on different conditions, making it extremely useful. In conclusion, Bitsgap lets you take back control of your time so you can spend your energy on doing analysis and making appropriate trading decisions. You don’t need to waste your time hoping some lesser exchange has executed your order properly because Bitsgap takes care of it. You don’t have to worry whether some exchange will have the tools you need either because, with Bitsgap, every exchange has all of the tools you are used to trading with. You’ll always be able to use the order types you need, the indicators you want and a fast loading interface. Bitsgap offers you a plethora of great tools that allow you to monitor up to date cryptocurrency rates, manage your entire portfolio, execute trades faster and take advantage of arbitrage trading all without leaving the app. The best part of Bitsgap though is that it’s free to use which is amazing for a tool with so many great features. You will spend loads of time for self-education before you start trading, though. Won't this app be confusing for a rookie as it unites many exchanges and, I guess, you'd better work with just one for a start.